It can be more difficult for new business owners to get term loans from a bank because of the short time in business and lack of revenues to show. Explore some of the non-traditional funding sources that are available for your business, including online lenders, microloans, and crowdfunding. Startups often have a difficult time securing funding because they don’t have much established history. The lender has to depend upon the financial projections of the business, the experience of the owner or owners of the company, the type of business, and other telltale factors. Women-owned businesses have it especially difficult when it comes to securing conventional funding with a gap in the amount of funding allocated toward women’s businesses. Thankfully, technology has allowed savvy investors to provide alternative forms of funding to businesses that aren’t succeeding with traditional lending options. These alternative funding sources aren’t bound by the strict guidelines that govern traditional bank loans, but are often just as secure and reliable. Consider all your options, from traditional bank loans to online lenders and crowdfunding campaigns. When you apply for a business startup loan, you're likely to have to give a personal guarantee, which requires you to have good personal credit, 680 or above. Startup business loans tend to go up to $750,000 with repayment terms from a few months to several years. You can get lower rates by using your business equipment or equity as collateral for the loan. You’ll usually need to submit a business plan and list your assets as well as complete the lender’s application form and undergo a credit check. You'll have to send your most recent business income tax returns if you have any already, and your personal income tax returns for the last 3 years. Your business' legal documents, verifiable details, and business financial statements (if you have any) will also be requested. As well as considering taking a business loan from one of the top lenders, there are a few other options for kickstarting your new business. You can usually qualify for business credit cards and business lines of credit much faster than regular loans, but if you have a poor credit rating, you'll face a much higher APR. Financially, receiving a grant or capital venture investment leaves you with the lowest amount to repay. You could also turn to crowdfunding, or borrow money from friends and family. 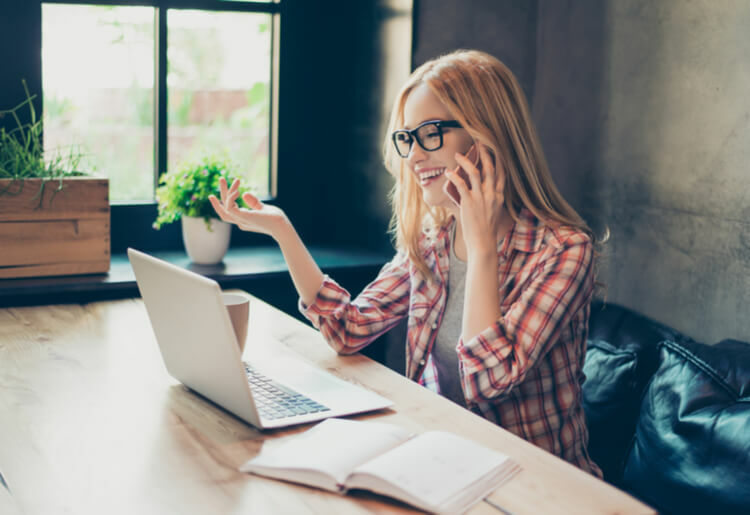 Finally, some entrepreneurs finance their businesses by taking out a personal secured or unsecured loan, or a home equity loan. This increases your personal financial risk, but can be good seed money when you're starting out. Since 2006, crowdfunding has provided a platform for businesses to obtain financing. This is a popular way to raise funds for startups. Because of the lack of regulations and the increasing number of businesses using crowdfunding, the government has established laws under the Securities and Exchange Commission (SEC). Now, anyone is able to invest in companies that use crowdfunding to raise funds. This is known as securities-based crowdfunding. To start, look into the terms and conditions of individual crowdfunding platforms to see if you fit the requirements. Microloans are loans that are made available to businesses, but they are normally smaller than traditional business loans. They can start at $500 and go up to $300,000. Micro loans average about $13,000. They are normally administered through a community-based nonprofit organization. Microloans are ideal for borrowers who lack collateral or a verifiable credit history, and are designed to support entrepreneurship. If your business is low cost, this kind of loan can offer you the capital you need to get moving. There are some reputable online lenders that provide various types of business funding for startups and existing businesses. Online lenders offer a huge array of loan types, which means you're likely to find one that works for you. Some lenders focus on small businesses, offering Small Business Administration loans (SBA), while others offer larger term loans, lines of credit, or invoice factoring. As you can see, there are a wealth of options available to businesses that can’t obtain traditional funding. Each year, new online lenders emerge to provide even more options for businesses. Do your research, collect your documents, and be patient. Read about lenders and loan comparison companies in these comprehensive lender reviews.